Home > What is an Isopod? What is an isopod? An isopod is a terrestrial crustacean that is commonly known as a roly poly, pill bug, or sowbug. It is closely related to lobsters and shrimp, isopods also breathe with gills. Isopods are harmless and can not bite or harm you in anyway. They are detrivores, which means they mainly eat decaying plants, wood, and animals. They help in the process of decomposition when consuming decaying matter which then is converted to usable organic matter that acts as fertilizer for live plants. 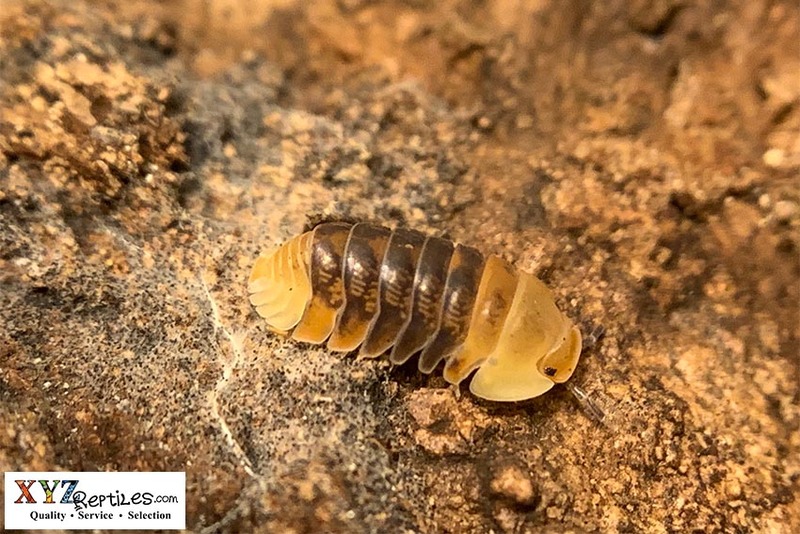 Isopods are essential for a healthy ecosystem including all live planted reptile enclosures and habitats. How do I Provide Proper Isopod Care? Isopod care is very inexpensive with minimal care requirements. For most cases you can use an air tight plastic container with a locking lid, sized appropriately for the amount of isopods you’re looking to culture. You’ll then need a nice healthy substrate that you’ll want about 2” inches thick inside the plastic container or reptile enclosure. We encourage the use of an ABG mix which has all the proper requirements for culturing isopods. The isopods will need a place to hide so you’ll want to provide some wood and leaf litter. Cork bark works best for this as they will also eat it over time. You will then need to dedicate about 1/3 of the container or enclosure to what we call the “wet side”. You’ll need to keep damp live sphagnum moss (other live moss also works) there so that the isopods can molt properly. The other 2/3 or the enclosure stays dry. They need to have very humid environments in order to thrive so make sure your moss stays damp. You’ll need to open the lid to let in fresh oxygen every 2-3 days. You can also add your own holes for additional ventilation if cultures are kept inside containers. Isopods are detrivores so they eat decaying plants, animals and wood. Isopods love to eat rotting wood and oak leaves. We feed all of our Isopods Cuttlebone, dried shrimp, bug burger, morning wood, squash, carrots, potatoes, and a steady supply of live oak leaves. Is There Other Isopod food I Can Use? Isopods should always have a steady supply of decaying wood and leaf litter. They will also eat vegetables like potatoes, squash, carrots, and zucchini. They love Repashy bug burger and Morning wood but these food sources should only be offered several times a week. For protein you can switch between dried shrimp, fish flakes, and black solider fly larva. How Many Types Of Isopods Are There? There are over 5,000 species of terrestrial isopods. As of now there are over 1,000 species commonly kept in the hobby today. Currently we are working with over 100 species here at xyzReptiles and hope to expand that number in the near future. Where Can I Get An Isopod Pet? Isopods are an animal hoarders dream! With such little space required to house them, it’s easy to obtain a nice sized collection in a space no bigger than a common sized closet. Isopods come in all shapes, sizes, and colors. You can get your isopod pet at xyzReptiles. We are currently offering several types of isopods for sale including the white dwarf, powder orange, Dalmatian, and orange Dalmatian morphs. 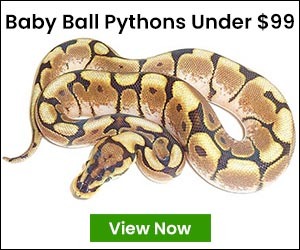 « Are Boas For Sale Good Pets?